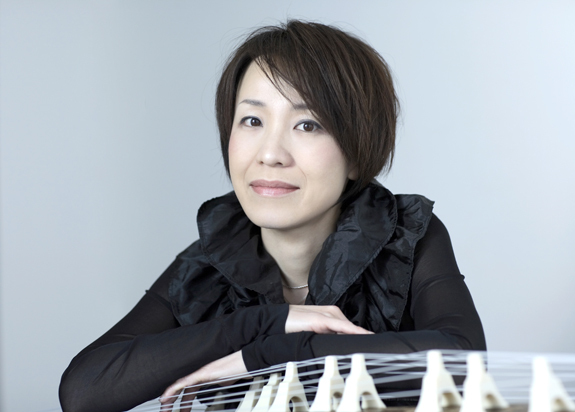 Based in Tokyo but travelling the world with her koto, Yoko Nishi will give a rare solo performance in New York performing classic by Kengyo Yatsuhashi and Michiyo Miyagi, modern works by Tadao Sawai and Takashi Yugi plus her own original compositions. Yoko Nishi started learning koto at the age of four. She began her studies under Tadao Sawai and Kazue Sawai. In 1980, she won a prize at Sankyoku competition in Japan at the young age of sixteen. After graduating from the Tokyo National University of Fine Arts and Music, she performed at the event organized by the Imperial Household Agency at the Imperial Palace for Japanese Emperor and Empress as a representative from the Tokyo National University. In 2008 she performed at the event organized by Tokyo governor at World Economic Forum 2008 in Davos, Switzerland. Ms. Nishi was invited to the London Chelsea Festival in UK and she had her solo concert in U.S.A (Wasington DC, New York, Chicago) that same year. In 2009 she performed in India, Switzerland, Hong Kong, Shanghai and Taiwan and she had her solo concert in Hungary (Budapest) and Germany (Berlin, Cologne, Frankfurt, Munich). In 2010 she performed at Shanghai Expo. She is currently a visiting scholar at Columbia University.